To keep you informed with all the latest events and updates from CFM Event Hire, just check out this page every now and then for up to the minute news. 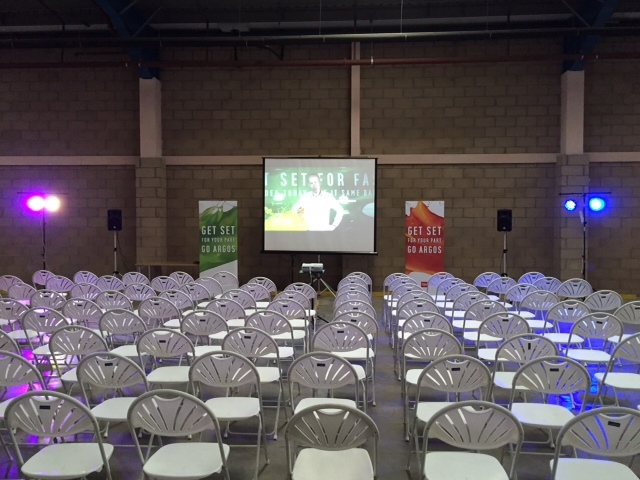 The very first specialist exhibition for UK flood specialists "Floodex" took place in 2016 at the Peterborough Arena in Cambridgeshire and we were tasked by the organisers to provide AV kit for this event. We supplied the PA systems and projection equipment for both lecture theatres, several HD screens for exhibitor stands and we filmed, produced and edited an event video (see above). We had 2 Technicians onsite to oversee this 2 day event. Feedback from client: "As the organisers of Floodex, we found CFM to be nothing but through and professional, very easy to work with and willing to put in that bit extra to ensure both theatres went without a Hitch. 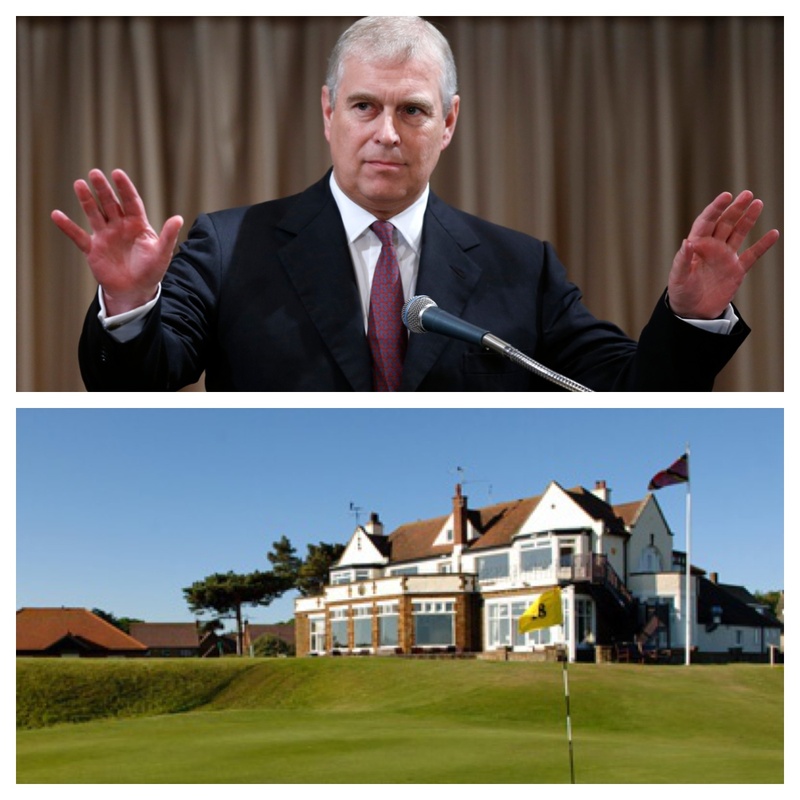 Having provided our services in the past for the Queens royal enclosure at Horse Guards Parade London, An opening ceremony for Princess Anne in Cambridge and an event on the Sandringham Estate in Norfolk, we were pleased to add a 4th royal event to our client list with an onsite AV production service at Hunstanton Golf Club with Prince Andrew. 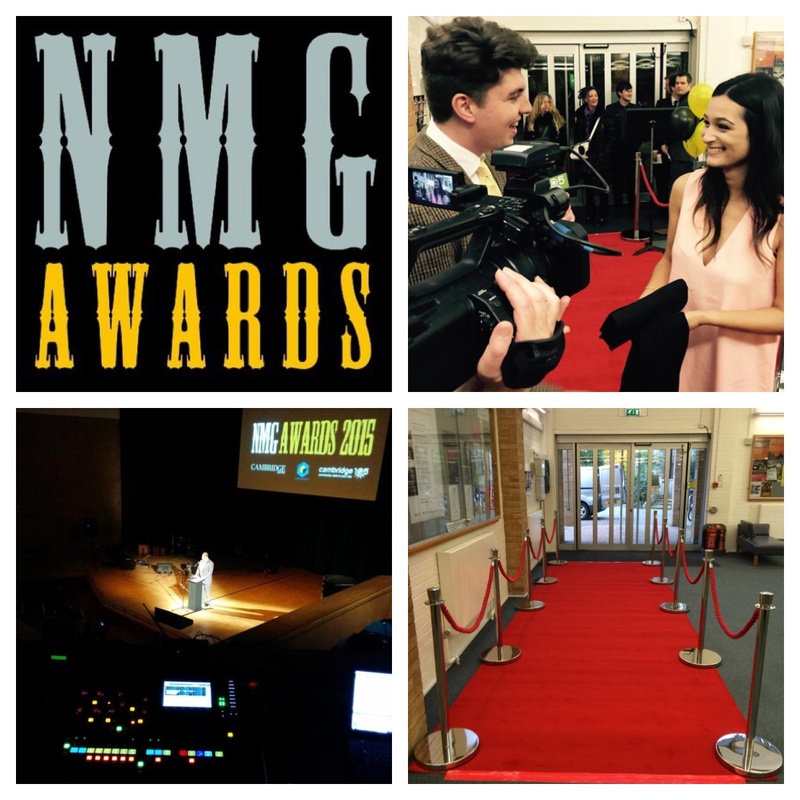 For the 3rd year of this prestigious music awards event in Cambridge, we supplied our services to NMG in conjunction with Cambridge 105 radio. Held at the West Rd Theatre, a grand venue for this annual black tie evening and we supplied the VIP entrance comprising of a 6 metre x 2m red carpet with 2 lines of red VIP rope barriers for the media interviews on arrival. When a publishing company were organising an "evening with" event they booked us to provide their PA sound and audio visual equipment for the stage at a venue in Essex. 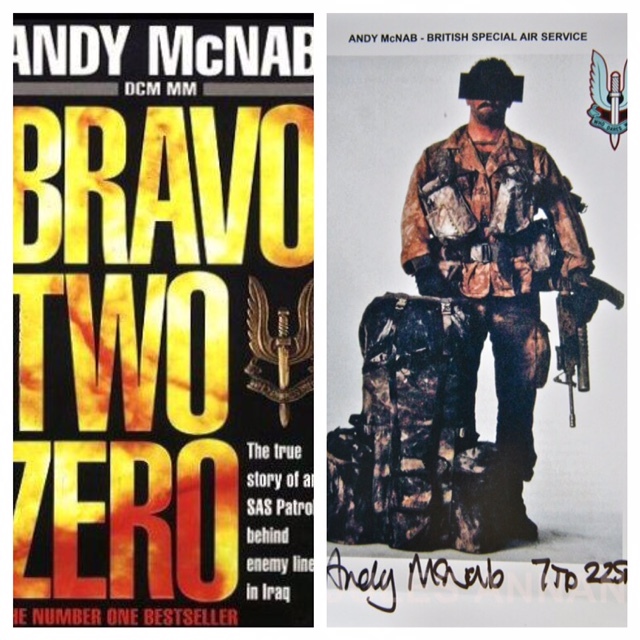 Its no wonder that the entrance was fitted with "STRICTLY NO PHOTOGRAPHY" signs as the evening was hosted by ex-SAS soldier and best selling author Andy McNab who can be a little camera shy. 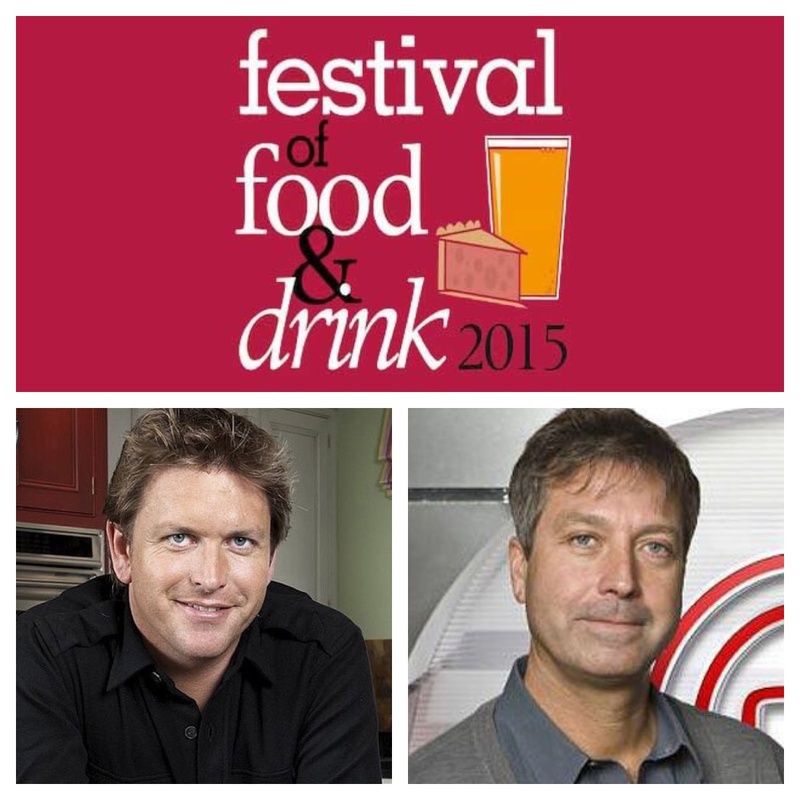 We are pleased to be the preferred choice for event equipment hire at the Essex Festival Of Food And Drink in Braintree for the third year running with special guest appearances from TV chef James Martin from "Saturday Kitchen" and John Torode from "Celebrity Masterchef". 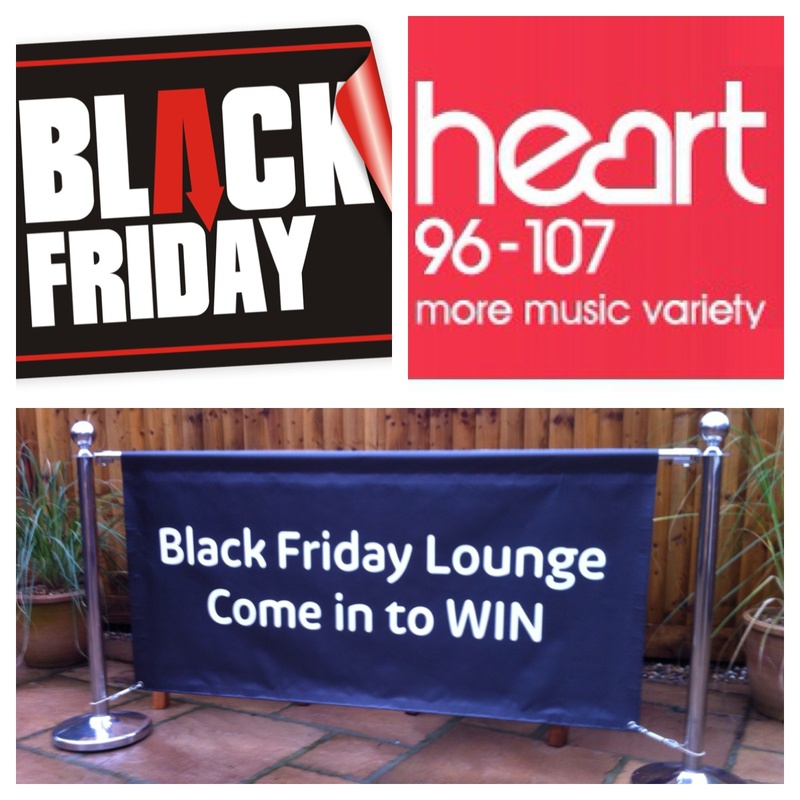 This has become a huge event with Heart Radio onsite and a host of food and drink companies. 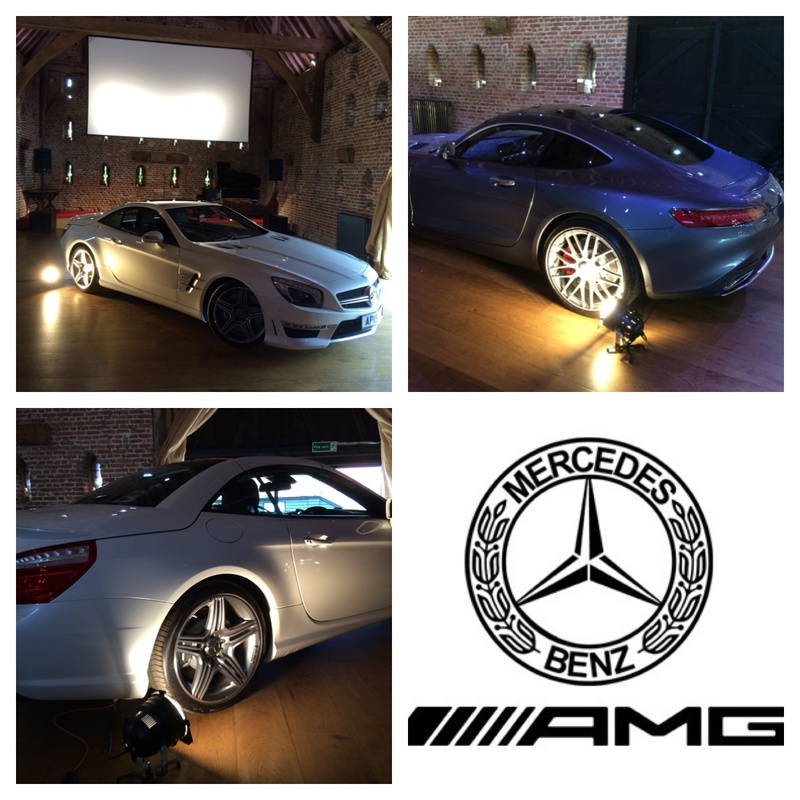 AMG is the premium sport brand from Mercedes Benz Cars and we are proud to have been chosen to provide the display lighting at their recent VIP launch event at Hales Barn in Lodden Norfolk. Multiple Mercedes dealers from the East Anglia region came together to provide an evening of music, casino tables and a special video presentation of the new AMG range. 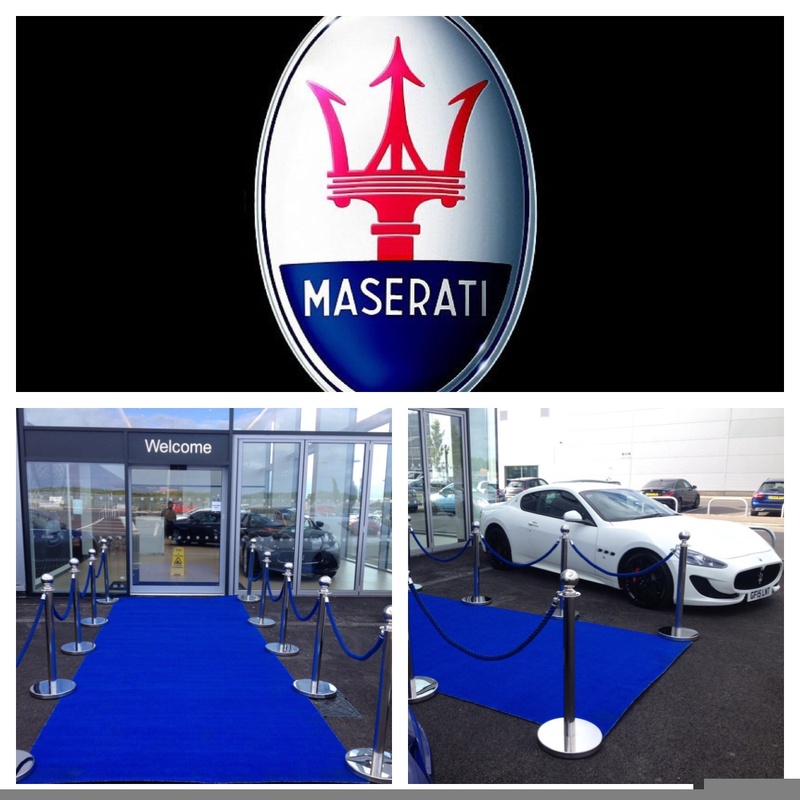 One of the worlds best known prestigous car brands, MASERATI chose us to provide their VIP event theming equipment for a special evening at their showroom in Maidstone. We were pleased to supply a blue VIP entrance package with a bespoke 5m long, 2m wide quality carpet runner with polished chrome stanchions and blue matching rope barriers. We were pleased to have been chosen to provide the chrome post and rope barriers for the VIP area at Channel 4 TVs "Grand Designs Live" which took place at the Excel Exhibition Centre in Docklands East London. 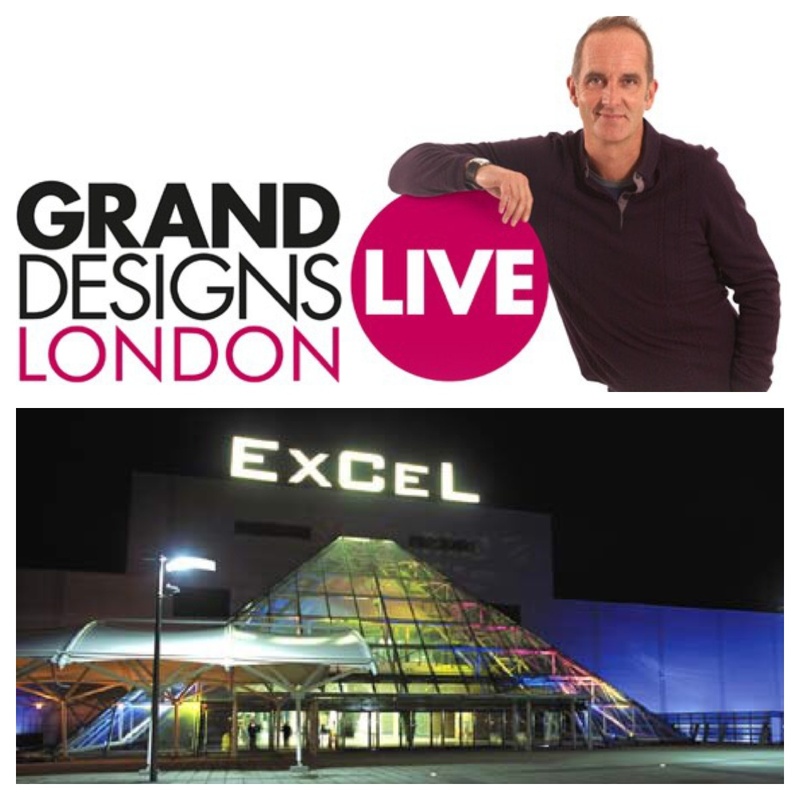 This is a huge event with many thousands attending tom see personal apprearances from the shows presenter, Kevin McCloud. 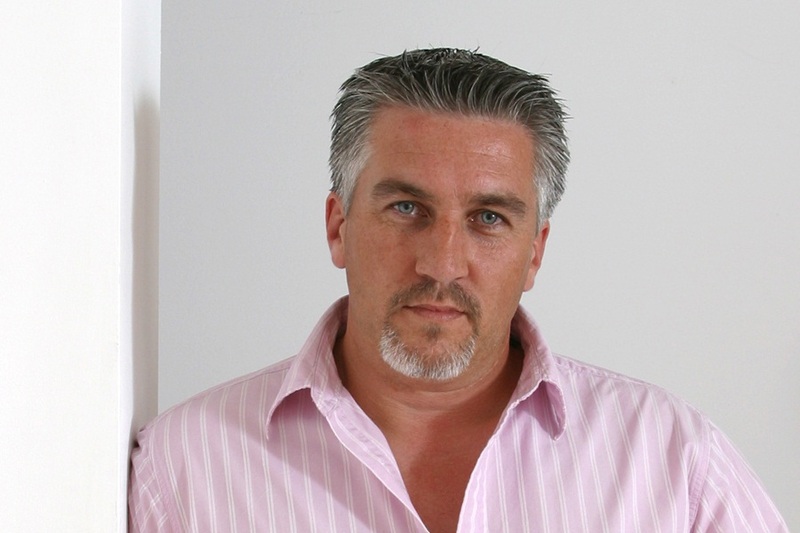 Yet another high profile event to add to our portfolio of celebrities. Another celebrity booking for us, this time it was for Kim and Aggie from the hit Channel 4 TV show "How clean is your house". They made a personal appearance at the Intu shopping mall in Uxbridge, West London at the grand opening of a new facility within the centre. 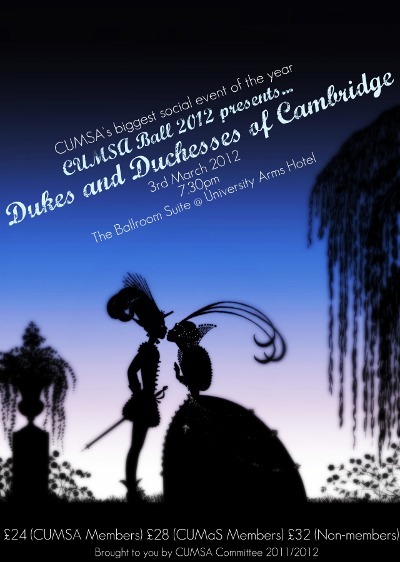 Yet another celebrity event to add to our growing list of Red carpet and rope barrier bookings. 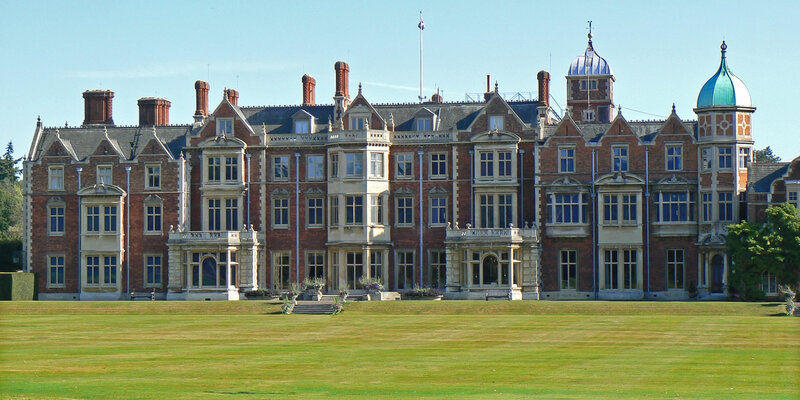 When the Royal College Of Surgeons needed a quality PA system for their conference they contacted us to provide this at the Queens Royal Estate at Sandringham in Norfolk. Our technicians set up a multiple microphone system which included roaming radio mics for this one day event at one of the countries most iconic and prestigous locations. 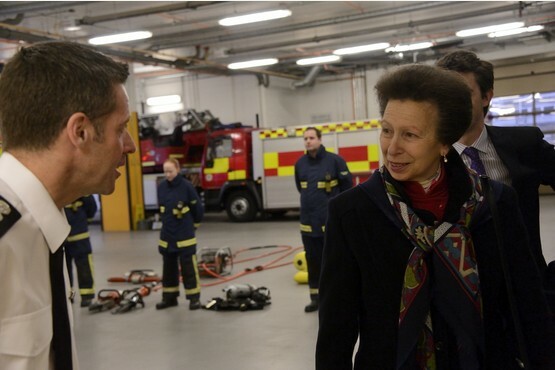 Priness Anne carried out the official opening of the new fire station at Parkside in Cambridge in January 2015 and we were there providing our services at yet another prestigous VIP event. Local dignitaries, fire station staff and the press all joined the princess in the unveiling ceremony. 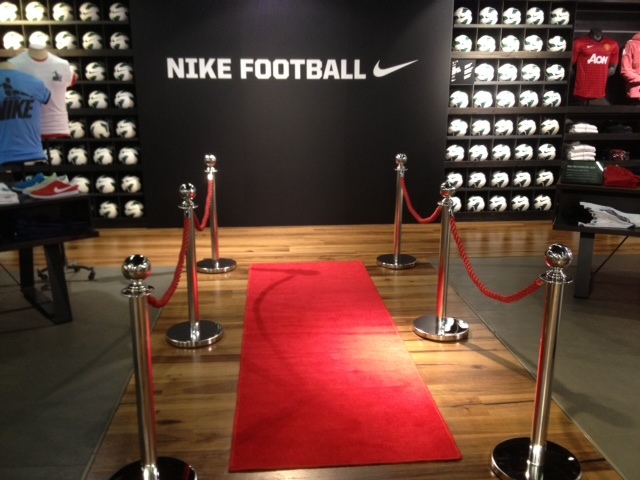 We supplied the chrome stanchion posts and rope barriers for this event. 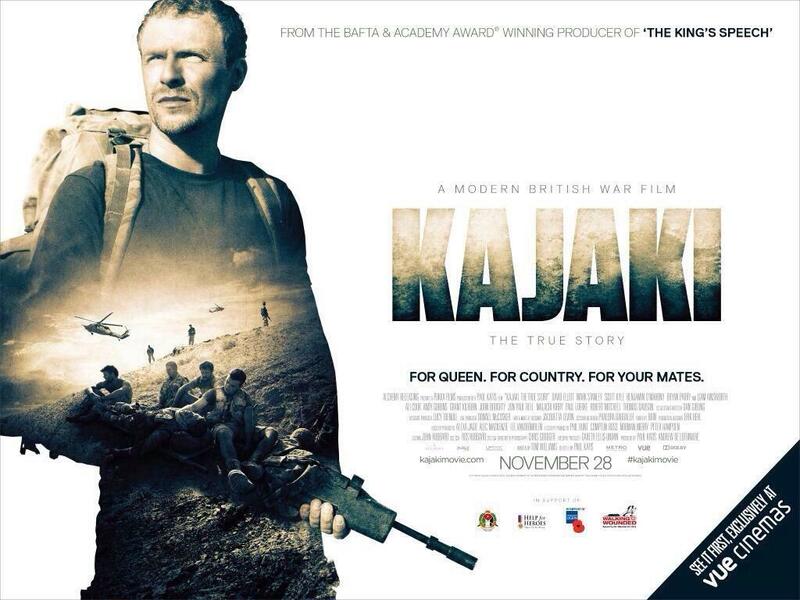 From the producers of "The Kings Speech", another british movie is about to hit cinemas nationwide "Kajaki" a modern day war film based on a true story in the battle fields of Afghanistan. When the film company were looking for a red carpet supplier for their film premiere event they chose us for their requirements and we delivered the carpet runners direct to the Odeon Cinema In Colchester Essex for this prestigous event. One of the worlds top car manufacturers, Audi, called on us to provide their equipment hire requirements for the finishing touches to the official showroom launch of the new Audi TT sports car in the East Midlands. 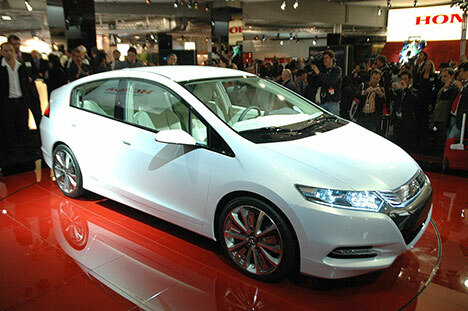 We provided stanchion posts and rope barriers to surround the new car on show along with our standard VIP entrance package with welcome sign and red carpet runner. The history channel called on our services when they were filming at various world war 2 RAF bases for a new documentary series. RAF Duxford, has a vintage cinema which was one of the locations being used for filming and required a temporary projection system installed. 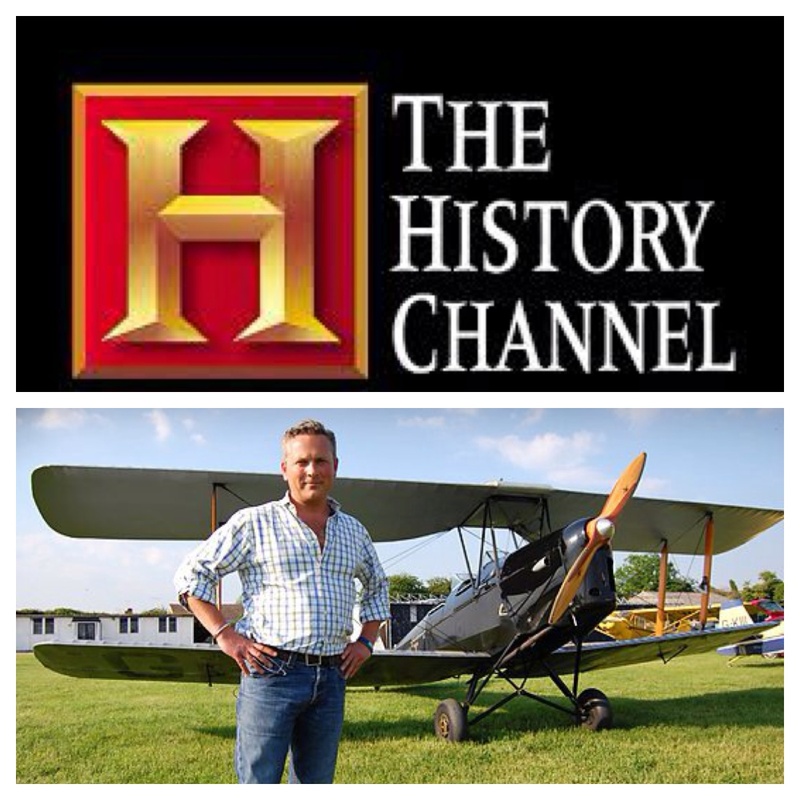 We worked alongside Jules Hudson, presenter of the BBC`s "escape to the country" and "country file"
One of the biggest high street retailers in the UK, Argos, booked multiple services with us for a corporate event held at their regional distribution centre in Basildon Essex. Around 500 staff attended 3 sessions held during the day using our PA system with radio mics, projector and 8 ft screen along with LED stage lighting for a video presentation. Another corporate customer for CFM. 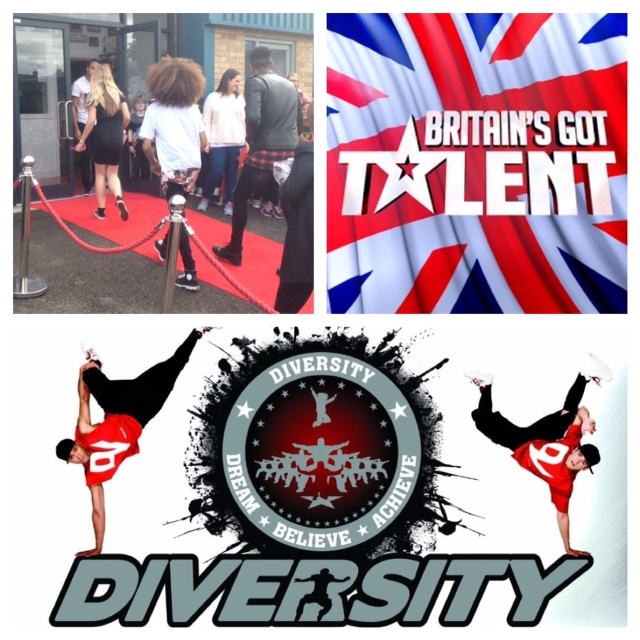 And yet another celebrity booking for us here at CFM Event Hire, this time it was a full red carpet entrance with post and rope barriers for the arrival of Britains got Talent winners "Diversity" the dance group. They were there to cut the ribbon and offically open a new dance studio in Waltham Abbey, Essex watched by hundreds of guests. Another high profile booking for us! 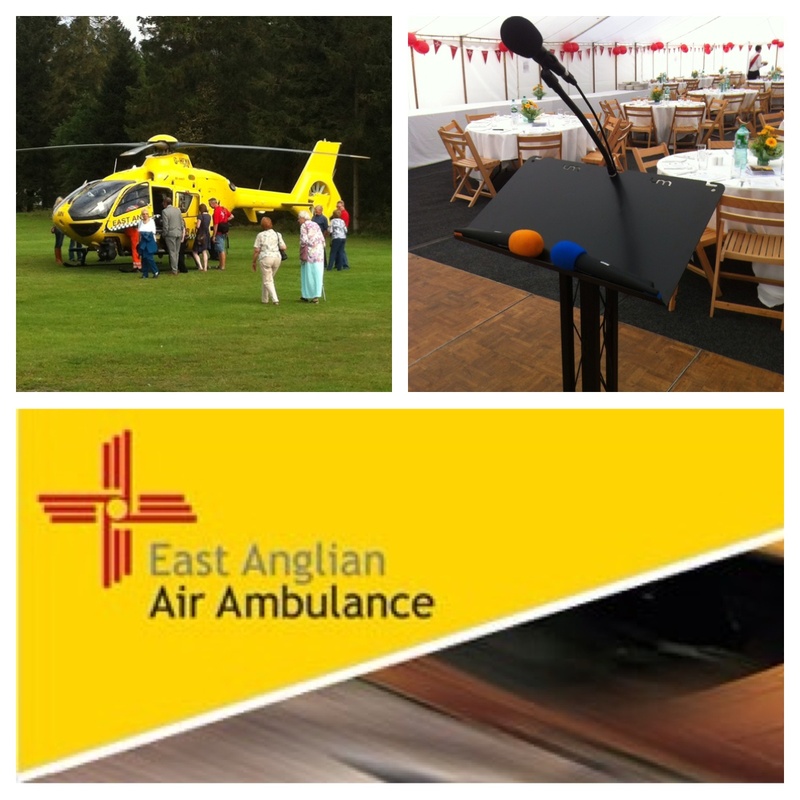 When East Anglia Air Ambulance needed a PA system for one of their corporate event days on the Elveden Estate Norfolk, they called upon us to provide this service. We delivered and set up a sound system with trusslite lectern fitted with gooseneck mic along with radio mics, a multi-channel mixing desk with active speaker system. Even the helicopter was there! "Many thanks for the PA which worked perfectly, it was a great afternoon and the sound system made an important difference" Diane J from EAAA. 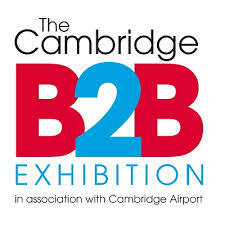 When the Cambridgeshire Chamber Of Commerce required a quality PA system for their 2014 exhibition and seminar, they once again called CFM to supply and install this at Hanger 22 at Camridge Airport. 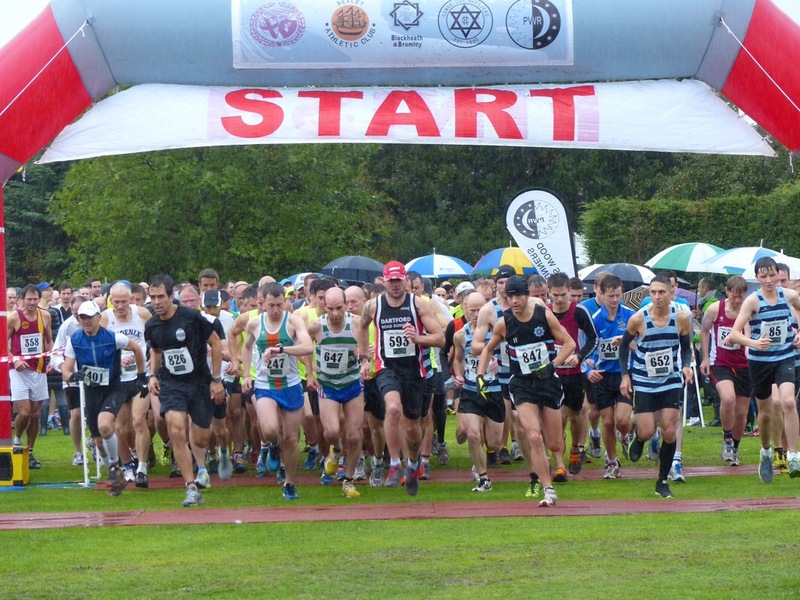 We returned as their preferred choice after supplying the sound system and AV equipment for their 2013 event. 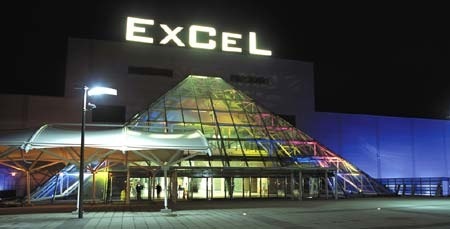 We supplied an 8 speaker PA rig for the main exhibition hall along with a smaller 2 speaker system for the seminar room. 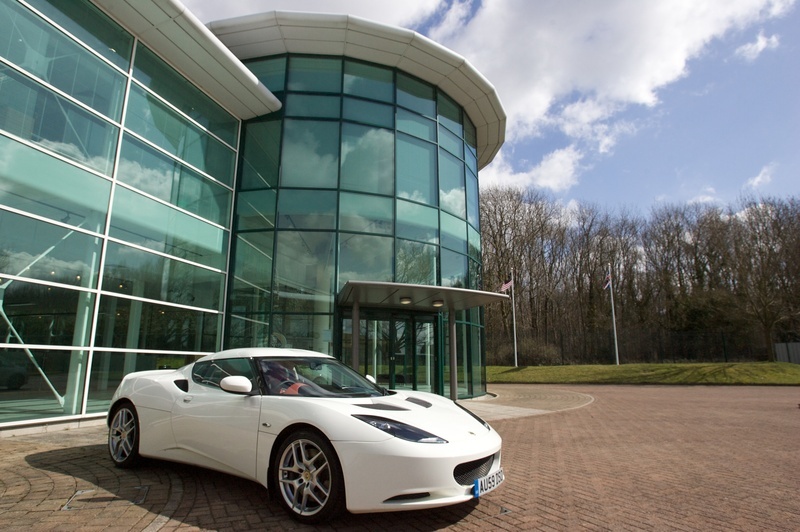 World famous Lotus Cars are based right here in East Anglia and we are proud to be the preferred choice for their AV requirements at their Norfok HQ. Our task was to provide a lectern based, multi-speaker system for an address to their workforce of 900 staff which was configured as an 8 speaker PA with our sound technican on-site throughout the event to oversee levels. 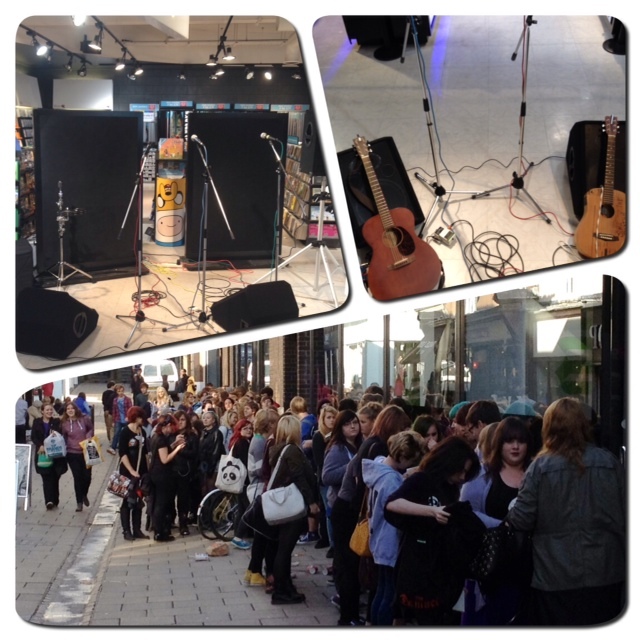 When Peter Andre appeared at the castle shopping mall in Norwich, we were booked to provide the crowd queuing system using our tensa belt barriers to filter the hundreds of waiting fans into the perfume shop where peter was promoting his new perfumes and signing autographs. We also provided chrome stanchion posts with red ropes for the lead up to the signing point. Timbers Country Lodge is the venue for "Norfolks Got Talent" an annual event where singers, dancers and performers compete in this regional talent contest. 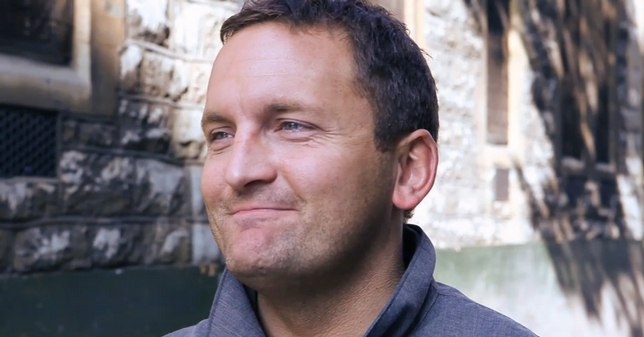 Head judge at this event is former Eastenders actor and star of "Im a celebrity, get me out of here!" 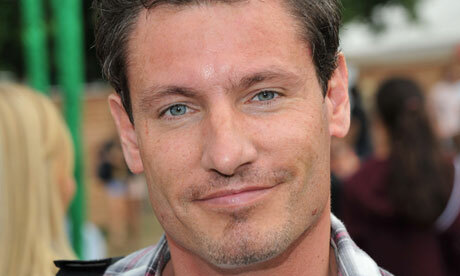 Dean Gaffney. We supplied the backdrop drape and pole system along with all the desk controlled stage lighting. 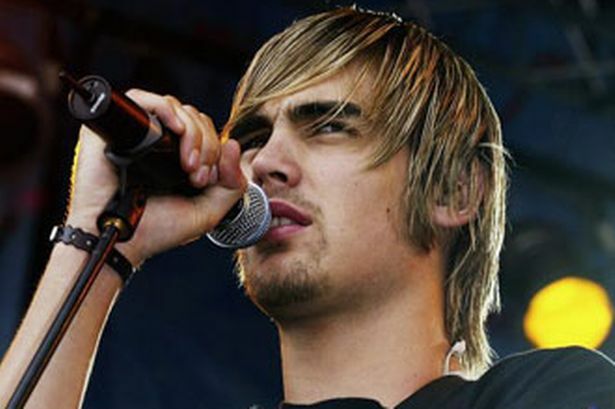 When Charlie Simpson, lead singer with pop band "Busted" and "Fightstar" wanted sound, lighting and AV hire for his wedding reception, he turned to us to provide a complete onsite service at his huge marquee venue in the heart of the Suffolk countryside. 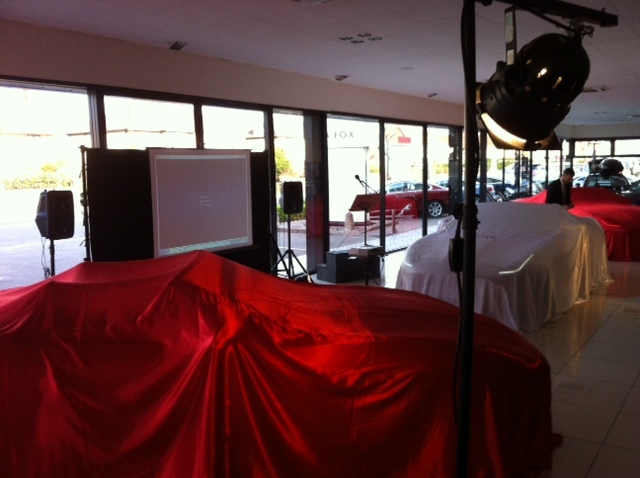 Our technicians set up a lighting rig, smoke machines, radio mics and a projector and screen AV package. Congratulations! Tracie Giles is a celebrity makeup artist and when she launched her new knightsbridge salon, she called on us to provide her VIP entrance barriers for the red carpet to hold back the hoards of paparazzi waiting outside. The event was attended by OK! magazine along with a host of celebrities including reality TV stars Chantelle Houghton from Big Brother, Lauren Goodger from TOWIE, Bianca Gascoigne and Miss United Kingdom. 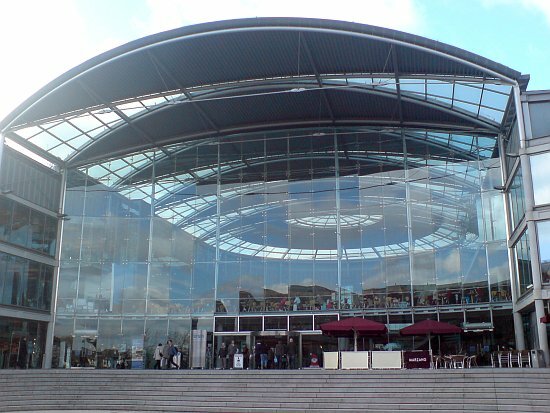 One of the best known live event venues in Cambridgeshire is the Key Theatre, home to many appearances by the top names in the entertainment industry. 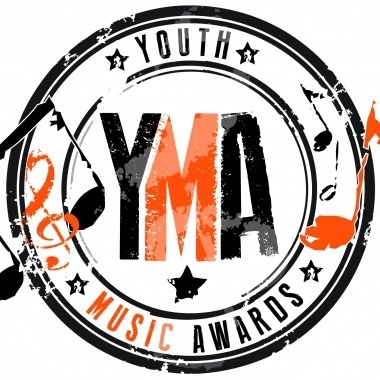 We are pleased to welcome this venue as our latest business partner by supplying a complete VIP red carpet entrance package for the Youth Music Awards Night held at the venue in april 2013. 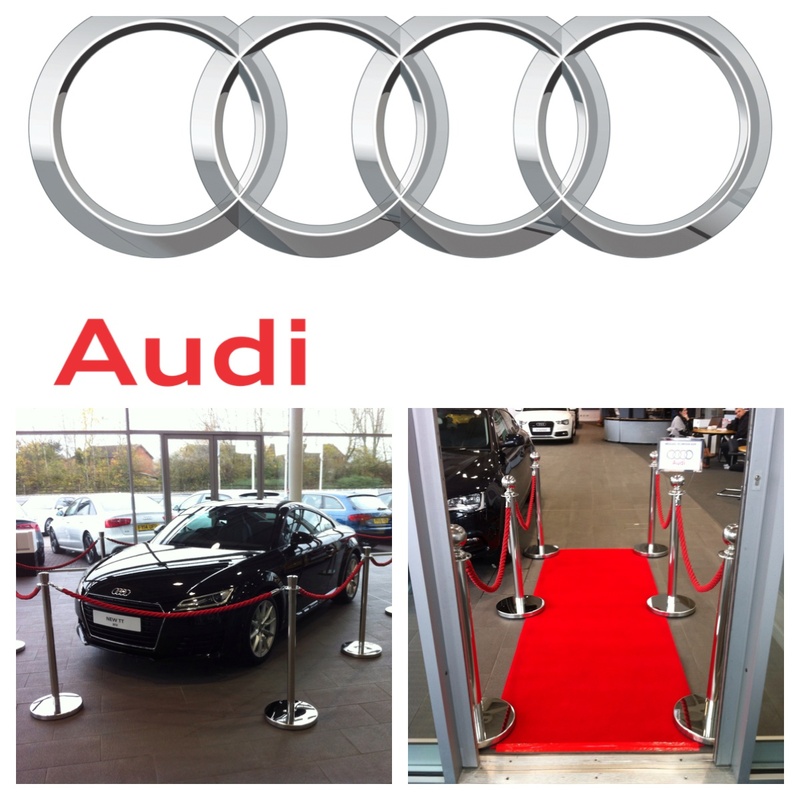 We supplied a quality red carpet runner with chrome posts and red rope barriers. 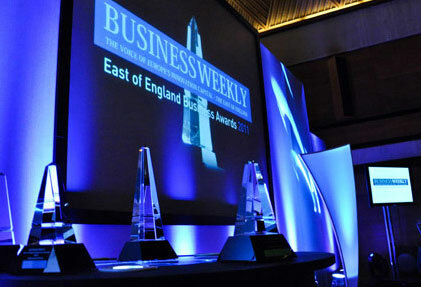 Queens College grand hall in Cambridge city centre was this years venue for the Business Weekly Awards ceremony for the East Of England. Starting with a black tie dinner and followed by an evening of stage awards, we provided many aspects of the technical requirements for this prestigious event. We supplied 2 onsite technicians to operate stage lighting, uplighting, multiple radio mics and a full stage PA system. 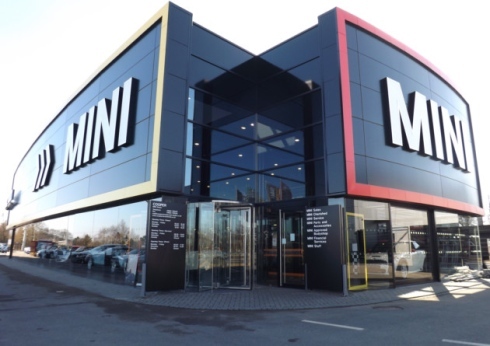 Cooper Mini in Norwich commissioned us to provide their technical event managment requirements for the combined launch of their new state of the art showroom and the unveiling of the new Mini Hatch at a special VIP evening. 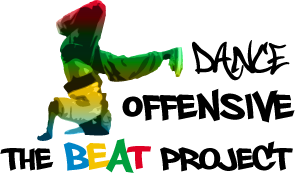 We provided many aspects of their event including portable staging, overhead display lighting, effect lighting, strobe and smoke machines for the dancers along with outdoor flood lights and crowd barriers. 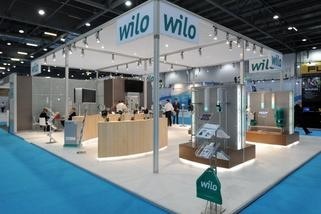 Worldwide eco pump manufacturer WILO were exhibitors at the Ecobuild 2014 show held at one of Britains best known exhibition venues, the Excel in the heart of Londons Docklands area. We were booked to provide various equipment from our hire product range including post and rope barriers, carpet for the stand and a PA system for announcements. All part of our exhibition hire services available UK wide. 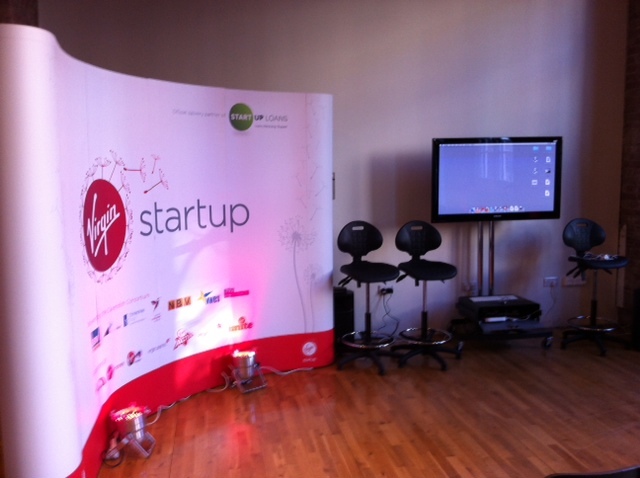 The University Of The Arts in Norwich was the venue for a corporate event hosted by the Virgin Group. This was a seminar with audio visual presentations and venue lighting for a group of specially invited delegates. 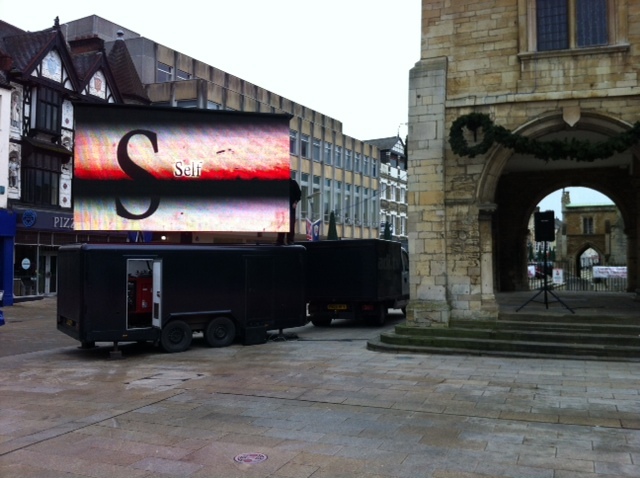 Our technicans carried out an on-site installation of the hire equpment for this evening event. 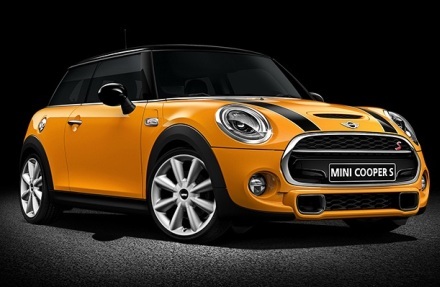 Yet another worldwide corporate brand choosing CFM Hire for their event requirements. 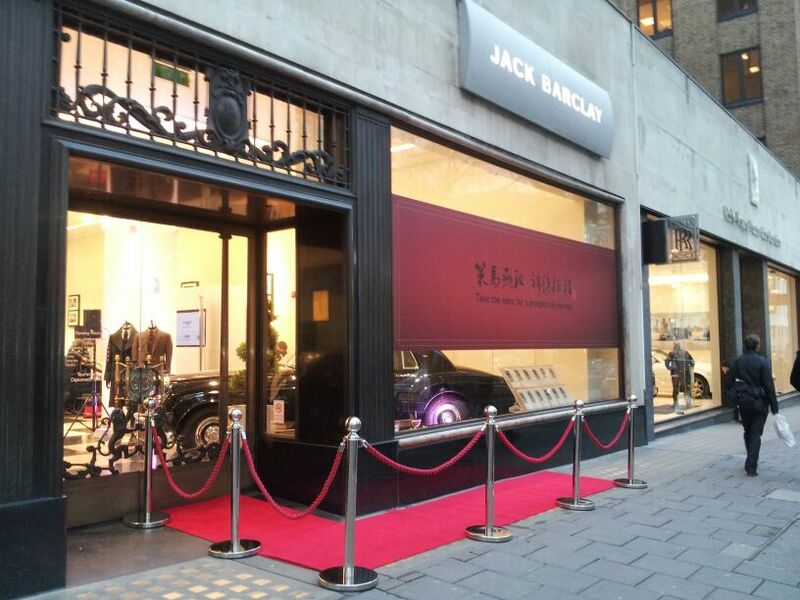 Probably one of the most prestigous car showrooms in the UK is Jack Barclay Bentley In the heart of Mayfair, Central London. When they were holding a special VIP event at their premises they called upon the expertise of CFM Event Hire to provide a VIP entrance for their guests comprising of a 7m long L shaped red carpet complimented with premium chrome finish stanchion posts and braided rope barriers. This years LAMMA show, the largest specialist exhibition for farming machinery in the UK, moved its location to Peterborough at the East Of England Showground. We were there to provide display stand lighting hire for Bale Band It, the UK importers of specialist hay baling machinery. We supplied height adjustable portable display lighting to illuminate their exhibition area over the 2 days of this annual event. 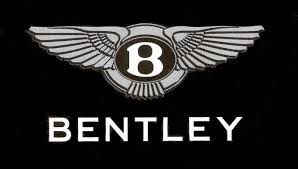 Many high profile companies use the services of CFM Event Hire and Bentley is no exception. When they recently organised a charity night at the Jockey Club in Newmarket, they booked us to provide interior stage lighting, outdoor flood lighting and flame machines for the event held to support E.A.C.H (East Anglia Childrens Hospices). 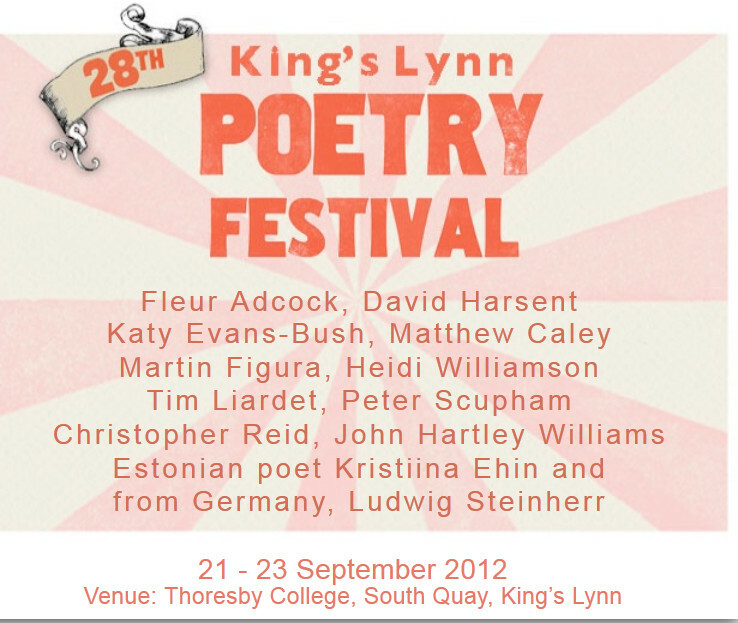 We were pleased to provide services for this prestigous event in aid of such a worthy cause. 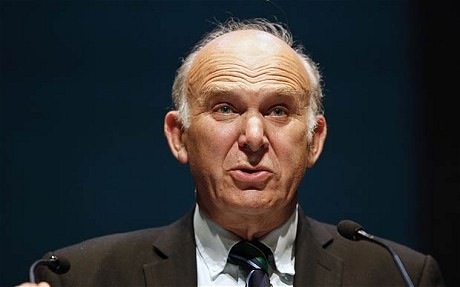 Another high profile event for us here at CFM Event Hire, this time a PA system for a corporate awards ceremony in Norwich where the guest speaker was secretary of state for business, Vince Cable MP. We supplied lectern microphones linked to a multi-speaker PA system with our technician present throughout the event to oversee the sound mixing. 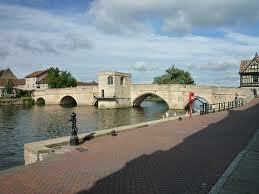 Our corporate client portfolio has grown rapidly during 2013 in the East Of England. The world peace vigil was held in November at Cathedral square in Peterborough City Centre. We were booked to work alongside ADi Television who provided a giant LED screen for this event and needed a PA system to accompany the visual output. We also provided the microphone system and lecturns for the presenters and guest speakers for this large public event in Cambridgeshire. When the organisers of Monster Trucks Live 2013 wanted crowd control barriers for their event in Bury St Edmunds, they booked us to provide this service for their hollywood themed movie car display. With a large crowd attending the venue, we installed the barriers around cars such as the "A Team" van, The "Dukes Of Hazard" car and the "ghostbusters" ambulance. Another huge event covered by CFM Event Hire. 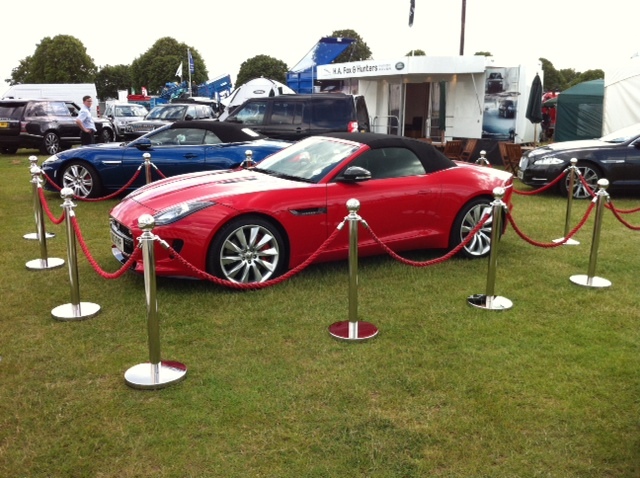 PA HIRE FOR INDIE BAND "DEAF HAVANA"
Continuing our ever increasing involvement with the automotive industry, we were pleased to supply prestigious car marque, Jaguar with yet another equipment hire at the Royal Norfolk show at the showground in Norwich in June 2013. We provided a set of premium grade rope barriers with chrome stanchion posts to protect a convertible "S" type Jag at this large 2 day annual event in Norfolk. All expertly set up by us here at CFM. Joel Becket has been a regular on our TV screens over the past decade appearing alongside Ricky Jervais in the acclaimed TV series "The Office" and then going on to play Jake Moon in the BBC soap "Eastenders" for 2 years. He has also appeared in "The Bill", "Holby City" and "Casualty". 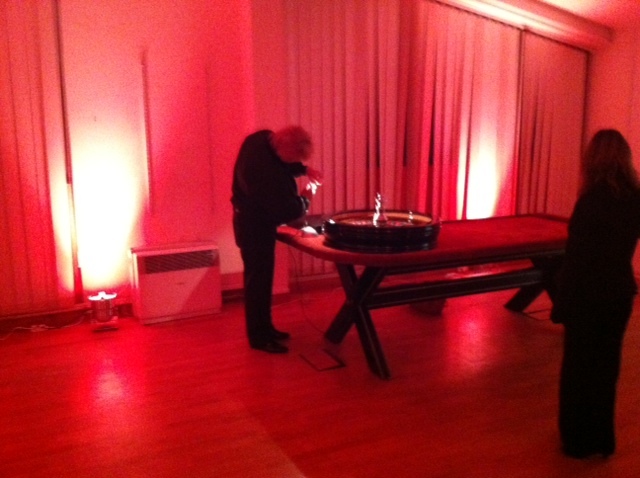 We were pleased to provide a sound and lighting package for Joel at a private event held at a hotel in North Norfolk. 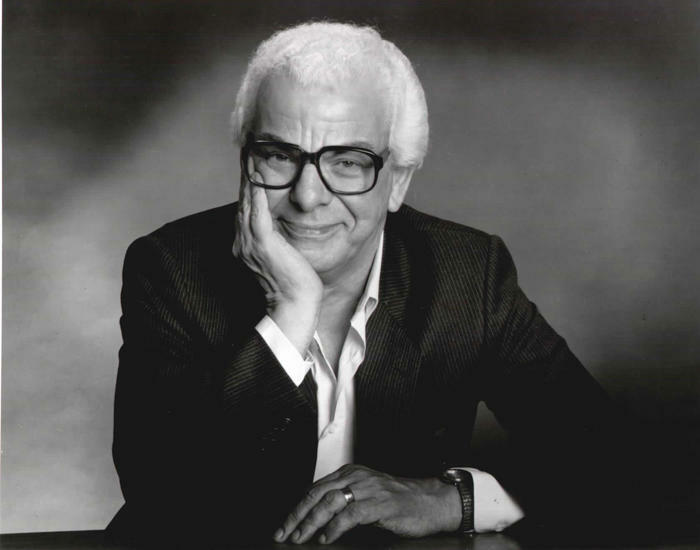 One of the UK`s most loved comedians, Barry Cryer appeared in Essex in March 2013 as the speaker at a public event. 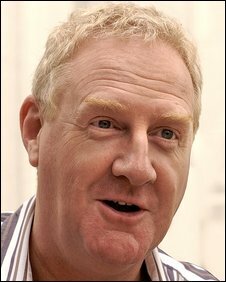 Barry has been on our TV screens for over 50 years performing his witty comedy and has also been the writer behind many sitcoms and TV comedy performances. We supplied a giant 2.4m screen with LCD projector and stand for this stage event, providing yet another well known entertainer with their AV requirements. 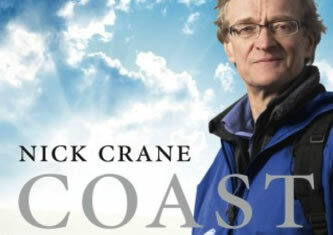 Nick Crane, writer, broadcaster, author and presenter of the popular BBC TV progarmme "Coast" appeared as a guest speaker in Saffron Walden, Essex in March 2013. He presented a 2 hour insight into aspects of the town which included a visual slide show in photographs which were shown to the large audience using our giant 2.4m screen and an LCD projector package, all set up onsite at the venue by us. 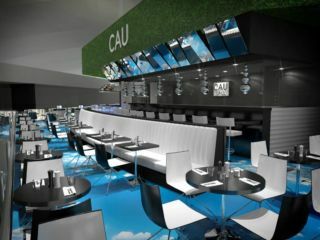 Cau Restaurants are arriving in the heart of Cambridge with their brand new steak eatery in Benet Street just opposite the Guild Hall. Opening at the end of January 2013, Cau booked us to provide a projector and screen package on a long term basis for their pre-opening staff training courses. We are pleased to have supplied our local services to this already established company who bring their quality and expertise to Cambridge. 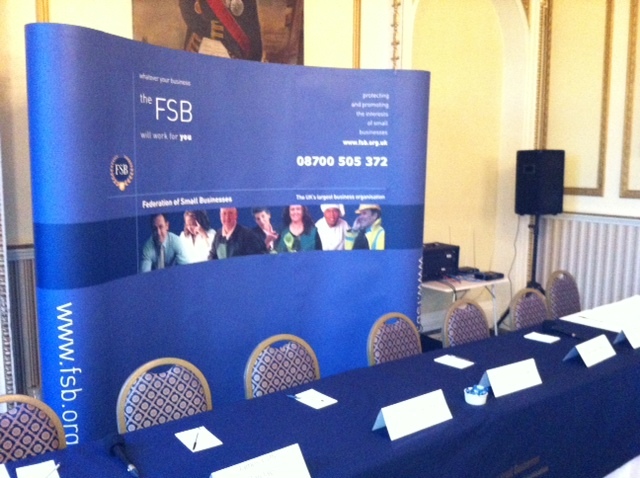 During January 2013, the Federation Of Small Businesses held their regional banking forum at the Lynford Hall Country Hotel near Thetford in Norfolk. Many banking executives and Members Of Parliament were on the panel and we were booked to provide a PA system for this event. 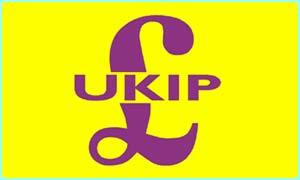 We supplied cabled microphones for the panel and radio mics for the delegates Q & A sessions. 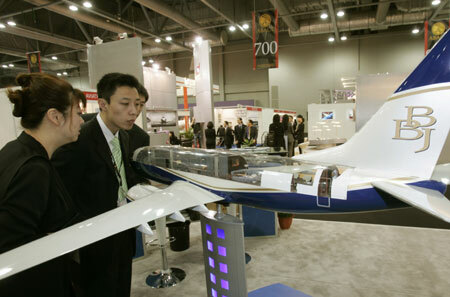 Yet another corporate customer using CFM. The Ministry Of Justice hosted an East Of England regional conference in November 2012 at the Sterling Conference Centre in the grounds of HMP High Point, Suffolk. The main speaker was Ex-Chief Constable, Sir Charles Pollard and we supplied a full conference PA system with lectern mic and radio mics, overseen and operated by our onsite technician throughout the event. We also provided audio for AV presentations. 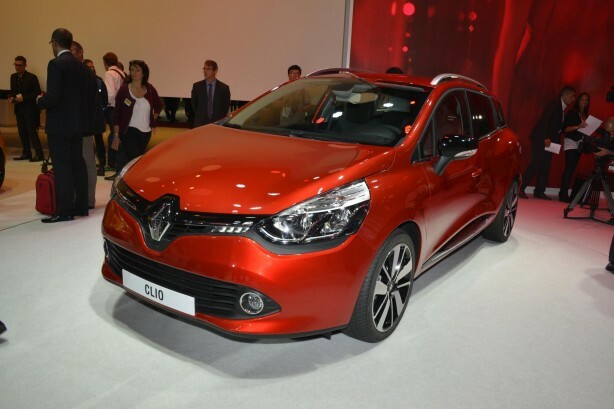 When Renault Norfolk wanted to showcase the launch of their latest Clio model, they booked us to provide their showroom lighting requirements. They were looking for something "eye catching" for passing traffic during their evening event so we supplied multi-coloured LED parcans in the interior of several forecourt cars, all set to flash mode. 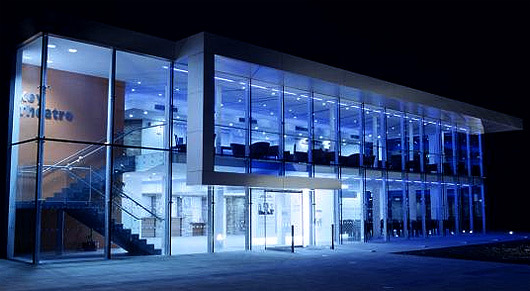 Roof top offices were also illuminated for added effect. 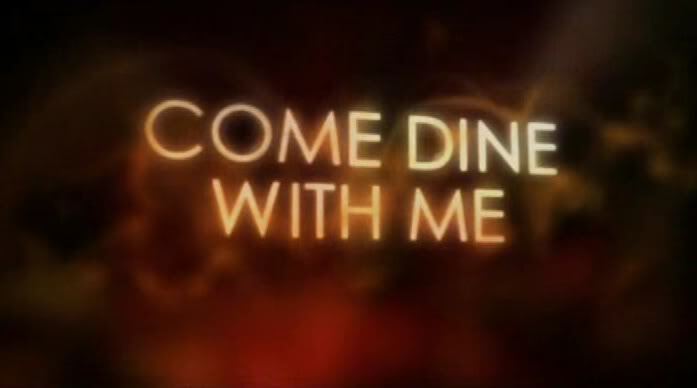 When celebrity TV chef Jamie Oliver needed to hire AV equipment for an event at his Cambridge restaurant, his head office in london arranged for us to provide a giant projector screen, LCD projector and stand along with a full PA sound system. This was delivered and set up by us ready for Jamies team to use during october 2012. We are glad to welcome yet another high profile client to our growing list of corporate customers. "Everyone was very impressed with the sound, universally declared the best ever"
The critically acclaimed "Dance Offensive", chose CFM to provide their portable stage lighting requirements at their show in July 2012 at the Romney Mill Centre in Cambridge. We worked with artistic director, Paul Sadot to create a performance area using multiple overhead parcan 56 stage lights in various colours for their show. 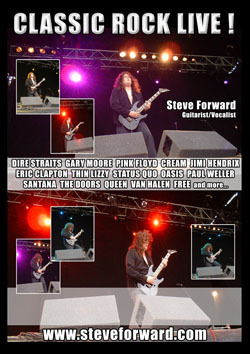 The Dance Offensive have appeared at many sell out shows in the UK. 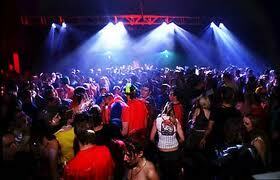 Sound and lighting systems for street parties in Cambridge City Centre, Downham Market and Kings Lynn in Norfolk. 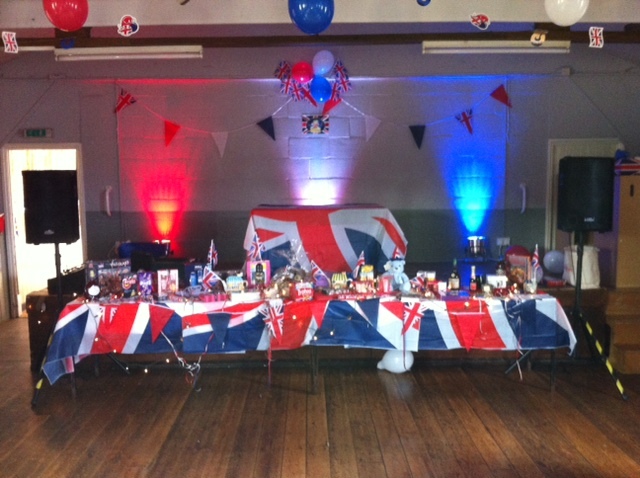 PA System hire in Dedham, Essex and Thetford, Norfolk and dance floor lighting hire in Thurston, near Bury St Edmunds. 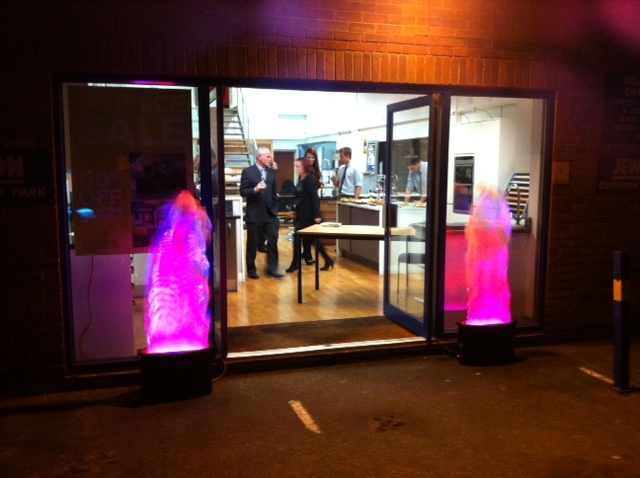 Our red, white and blue LED uplighters were very popular! A VERY BUSY WEEKEND FOR US HERE AT CFM ! 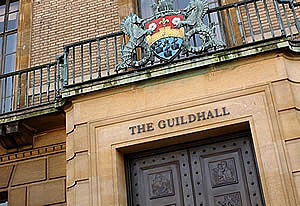 The Guildhall in the heart of Cambridge City Centre was the venue for a day of philosophy lectures by some of the country's top speakers and professors in March 2012. CFM were brought in to supply a multi-speaker PA system with a lecturn microphone to provide sound reinforcement for the hundreds of delegates who attended this grand venue for a day of lectures and debates. 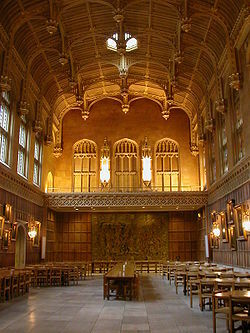 In February 2012, the Cambridge Union and Fitzwilliam College held a huge 500 guest fundraising party and CFM were brought in to provide the sound and lighting equipment. A 2.5kw 8 speaker DJ sound rig was supplied with dance floor lighting and uplighting for the main hall. Upstairs we provided a multi-channel sound mixer with a 1kw PA system for the live bands. 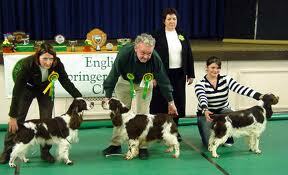 In January 2012, CFM were the prefered choice to provide the PA sound system at the English Springer Spaniel Club Championships held in Kings Lynn, Norfolk. This 3 day field event was held under Kennel Club rules and saw hundreds of competitors and spectators attend this annual event. We provided the PA equipment for the judges main stage area. 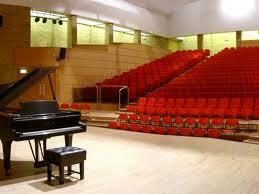 In November 2011, we were commissioned by a production company to provide the sound system for a corporate event and presentation on behalf of the RSPB (Royal Society For Protection Of Birds) at the West Road Concert Hall in Cambridge. A total of 600 guests attended the two sessions with our PA equipment linked to an audio visual presentation at this impressive venue. Hunters Land Rover In Norwich were the hosts for the launch of the new Evoque at their invitation only event at their showrooms on September 8th 2011. With design input from Victoria Beckham, the new 4x4 model looked stunning with uplighting supplied by us and a sound system for announcements during the launch. 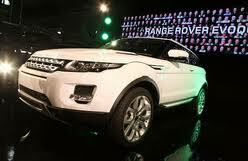 CFM are proud to be Land Rovers choice. Sponsored by Sunseekers UK, the huge Spalding leisure centre was transformed into a gala event venue on September 1st 2011 for a charity comedy night in aid of the NSPCC. 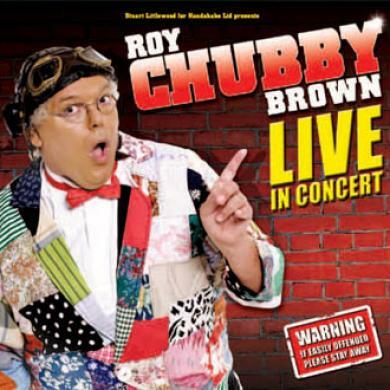 We were booked to provide a giant screen and projector along with a PA sound system for this dinner, dance and comedy event, headlined by the comedian Roy Chubby Brown. When the cambridgeshire town of st Ives wanted a professional PA system for their annual night river boat regatta in august 2011, they chose CFM to provide a 1200 watt muti-speaker system with radio microphone. The event compere could be heard clearly by the hundreds of visitors to the event who gathered on the quayside and the river bridge to see the illuminated boats. 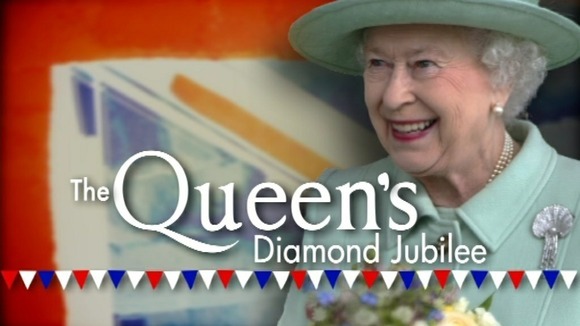 JDR Cables of Littleport were recently awarded the Queens award for enterprise and they chose CFM to provide the PA sound system for the awards ceremony in the grounds of their corporate headquarters. The Lord Lieutenant of Cambridgeshire, the Queens personal representative presented the award to JDR`s managing director Patrick Phelan using our PA system. 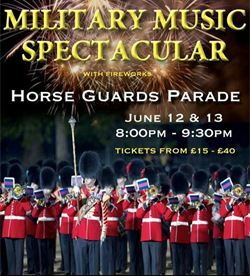 This is one of the biggest public events in the calender for the county of Bedfordshire and CFM were contracted to supply a full sound and lighting package for the evenings entertainment at Old Warden Park near Biggleswade. The bar marquee had a temporary install of a complete disco system for the onsite DJ`s to entertain during the evening of the 10th July. Once again CFM have worked with the BBC, this time at their Norfolk HQ in Norwich. The Forum was the venue on Sunday 27th of June 2010 for the launch party of the BBC`s music video festival and we were there, providing the sound and lighting system hire for the main concourse atrium which we transformed into a disco for the evenings entertainment. When Huntingdonshire District Council needed a PA system for their outdoor event at the Godmanchester recreation ground, they called on us to rig up their main stage. With full onsite sound mixing by our technician, we provided a 2000 watt system for multiple vocals and a play out system for backing tracks. Hundreds of people attended to see a wide range of performers. CFM were the preferred choice by the United Kingdom Independence Party to supply the PA system hire for their pre-election political rally. It was held at the Ramada Hotel, Peterborough and we supplied a Shure SM58 microphone for the parliamentary candidates for the Peterborough North and South constituencies, all fed through a peavey PA system. 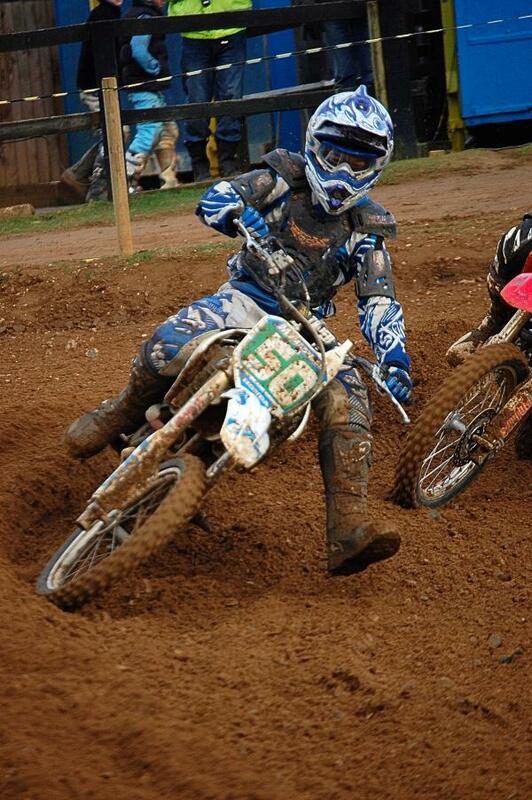 The East Anglian Scrambling Club held their national series event at the Mepal track in Cambridgeshire over the weekend 20th/21st of March 2010. We were contracted by the EASSC to provide the onsite PA system for both the paddocks and the main racetrack arena spectators area. Main commentary was sent over our radio microphone system to the 1200 watt sound system. 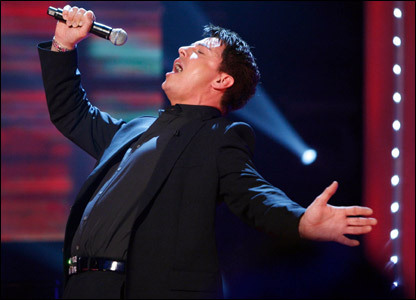 CFM Provided a PA sound system for BBC TVs Fame Academy Judge and 80s soul singer David Grant at the Lakeside Shopping Centre in Thurrock, Essex. David gave shoppers a 2009 christmas sing-a-long with the help of a local school choir. As David is also a vocal coach, he gave shoppers a quick singing lesson too, which was a good idea from where we were standing ! CFM Provided a large PA system with multiple radio mics and onsite sound engineer at the Chelmsford Law Courts for an evening of legal debate hosted by weekday morning presenter Dave Monk from BBC Radio Essex. The event was funded and supported by Gepp and Son Solicitors who commissioned CFM to provide the PA sound hire facilities at this grand venue. Chopper bike owners simply love their rock music and who better to perform at the NCC suffolk branch show than the legendary Steve Forward. CFM provided Steves complete PA sound rig hire for the open air gig which attracted a huge crowd on a very warm and sunny Sunday afternoon. Hundreds of chopper bikes on display and some great rock classics.